A review of all the headlines published by Renewable Energy World this year revealed many interesting trends in the global renewable energy marketplace. Ten trends, however, stand out as being major stories to watch in 2017. 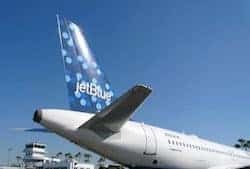 In addition to the commitments made this year by major airlines, such as jetBlue and United, to integrate renewable jet fuel into operations, governments around the world reached an agreement in October on the design of a global market-based measure for international aviatio. The agreement is part of a larger plan to invest in new aviation technology, scale up renewable fuels use and improve operations to reduce carbon emissions from the airline industry. In 2017, expect an increase in announcements by airlines on the amount of renewable jet fuel in their operations and improvements in infrastructure to produce that fuel. 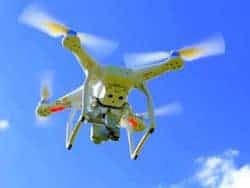 Drones saw a lot of attention from the general public this year, and that attention will increase in the renewables space in 2017 as industry looks for ways to make this technology work in the field to improve project development and reduce costs of operations and maintenance. Here, expect to see the focus fall on improvements to the technologies housed on drones and the resulting modeling they can produce. Pumped storage hydro represents the most installed capacity of the energy storage technologies, and its use as a large-scale option for smoothing out renewable energy on the grid will grow in 2017. Expect, however, to see in the New Year more pumped storage hydro sites proposed that are collocated with other renewable energy technologies, such as wind and solar.